Yea, yea, yea, we know. Generic and Genuine sound similar and yet they are complete opposites. The Genuine is supposedly better, the Generic is cheaper, and yet they both begin with the letters "G-E-N". 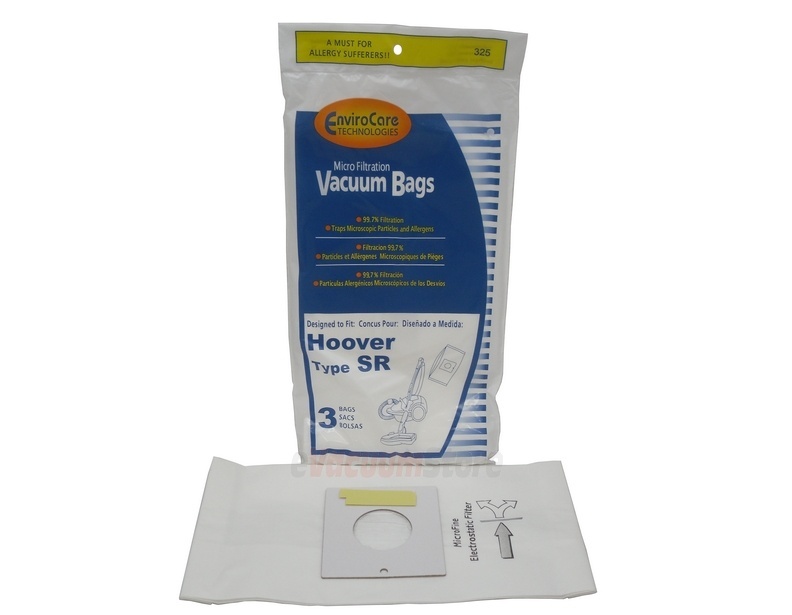 But hear this: when it comes to the Hoover Type SR Generic Vacuum Cleaner Bags, they actually are quite similar. Aside from having different manufacturers, the Generic and Genuine Type SR Vacuum Bags are radically similar, with identical structures, more-than-comparable filtration, durability, and capacity, and offer convenience and efficiency that rival all other bags, genuine and generic. So do yourself a favor and order some Hoover Generic Type SR Vacuum Bags and tell us they aren't pretty much the same thing. You won't regret it, and you'll save a few bucks. these vacuum cleaner bags are great and are priced just right for me. Delivery service was great arrived fast. Answer:These are the correct bags for your model.